For that ultimate, high-end timber effect, nothing beats a real timber sectional door. 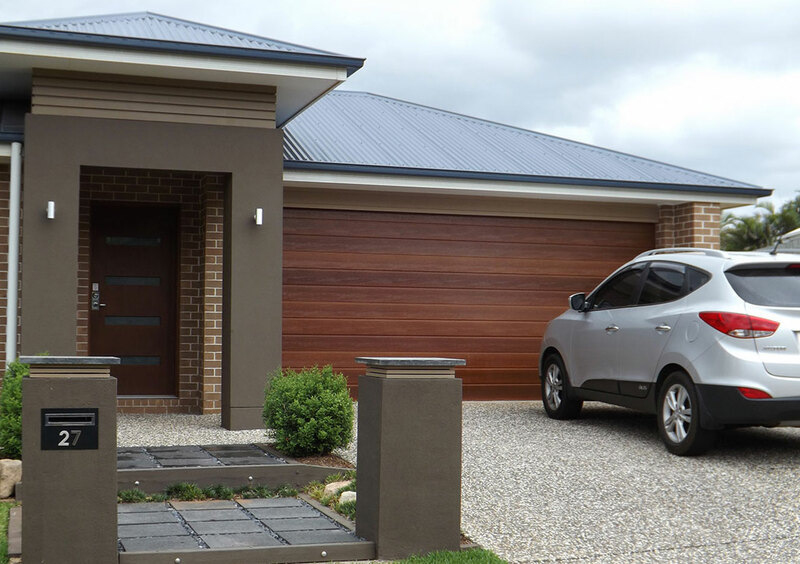 Timber garage doors can be quite heavy compared to a standard panel lift or sectional door, so keeping the weight minimal is an important factor. To ensure that the garage door remains lightweight but strong, our timber doors are supported by a fully welded aluminium frame. We also take into account the timber used outside of the door. Another major factor in choosing the timber type is weather, including sun and rain exposure. This helps to determine how often the door will need recoating. We recommend recoating real timber garage doors around once a year. Contact us today and we can have your polished, timber door up and running in no time.